Louis Garneau's Men's Neo Power Motion Bib Short features a 10-panel ergonomic construction with Power + Lycra® fabric for a slightly compressive fit that increases your ability to push harder for longer. Power Mesh bib straps have stretch trim for easy mobility, and a seamless inner leg prevents any annoying bunched up fabric. The 4-way stretch Motion Airgel chamois is ideal for long rides, and it uses a Cupron top layer that's antimicrobial and reduces skin irritation. For frictionless comfort, the seams throughout are flatlock so the short lies flat against the skin, and Powerband compressive cuffs gently secure the short without cutting off circulation. Features a hidden pocket at the lower back. 10.5" inseam. Reflective logos. Available in multiple colorways. No binding. The pad has extra ventilation to wick away perspiration. Great value for the price. Bought on sale. These fit perfectly and provide great quad compression. I like the mesh suspenders versus others that use a heavier material that makes you sweat. Well made and I love the chamois. I'm buying another while they're still available and on sale. I bought the medium and they fit perfectly. (6'1.5'165, Chest 39.5, waist 35, Hips 37, torso length 66). This is my second Louis GARNEAU purchase I just bought their Louis Garneau Boreal Pro Jacket for fallwinter cycling. I bought the medium as well. It fits like a jersey, which is exactly what I wanted, beefy rear pockets, great zippermaterials. Excellent padding, it doesn't bottom out like others. I have five pair of these shorts because after 25 years of cycling, these are the best I have tried so far. Fit is perfect. Durable. Love the compression on my legs. Great gel chamois. Fit is true. No cons as far as I know. for the last 5 years these have been my favorite shorts. In fact I dont even know why I bought other brands models. They last and fit me better than any other short. I road, mtb, gravel ride. Bought on sale. These fit perfectly and provide great quad compression. I like the mesh suspenders versus others that use a heavier material that makes you sweat. Well made and I love the chamois. I'm buying another while they're still available. Initial impression was that the fit and quality of the bib is very good (especially for the price). Unfortunately, these have caused so much pain due to the seams on the pad. I've given them some break in time and have used more Chamois cream than I would ever think I'd need, but the problems persist. I'm 6'2 and ordered a large and the overall fit of the piece is nice. Bib compatibility is obviously very subjective and what works for one rider may not work for another. The bib shorts a bought were too small. i wore them anyway and now there is a small tear at one seam. I've purchased 4 or 5 of these bib shorts and I'm never disappointed. They are consistently true to size, keep their shape, and wear well. The legs fit snugly and keep the short in place, they don't ride up. A very good bargain for the price. New to riding and like the Bib shorts. Its been a long time since I rode a bike and I was concerned about getting back on that narrow seat so padded shorts sounded like the answer and my salesperson thought I'd be happy with a bib short. They really help with the well placed and fitted padding and a snug fit that feels good and moves easily. This is my first pair of bib shorts and now I see lots of serious riders wearing them so I think they will serve me well as I expand my cycling times. Ive been a big fan and user of the Neo Power bib for years, the Motion bib is not of the same quality in terms of material, fit or chamois. I popped the seam on first wearing, and Ive never had that problem with the dozen or so previous bibs. Good bib, but not the same as the previous Neo-Power bib. Material seems less forgiving (stretch), I ripped the crotch stitching the first time I put them on. Chamois is less comfortable-and a different color (blue). Will not buy again, but had great luck with the Neo-Power bib in the past. I happened upon the Neo Power Motion bibs a while back. A great value bib with fit and durability qualities found in much higher priced options. The bib front come up above the navel which I find to be more comfortable. The chamois is very good quality and also comfortable even on multi-hour rides. I am a farely large rider (6'3 and 220) and the XL's fit perfectly. A performance garment can be to the overall experience. These are the best value bibs, ... Period. Excellent fit, great chamois pad, very comfortable especially good on long rides. I thought this was just the next generation of the Neo Power Bib, but the material seems different. I'm not a fan. The stretchy material of the original Neo Power is much nicer and easier to put on in my opinion. This feels like a cheap version. I also prefer the old chamois, and the smaller tag of the Neo Power. Buyer beware-Neo Power and Neo Power Motion are very different products. 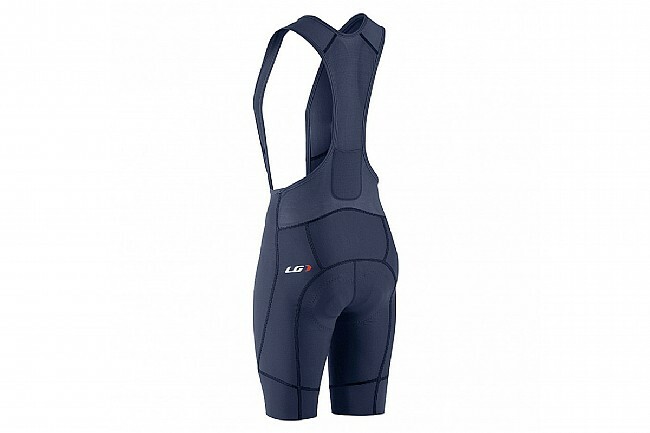 I have always been a huge fan of the Louis Garneau neo power bib shorts, great all around performance for value. Theses new neo power motion shorts are even better with a new upgraded chamois pad , compression fabric and construction pattern. They are super comfortable once the new chamois pad is broken in (little stiff when new), accurate fit/size and great ventilation! I find them very durable shorts but I always hand wash my cycling shorts, washing machines and dryers shorten the life span. I highly recommend them!